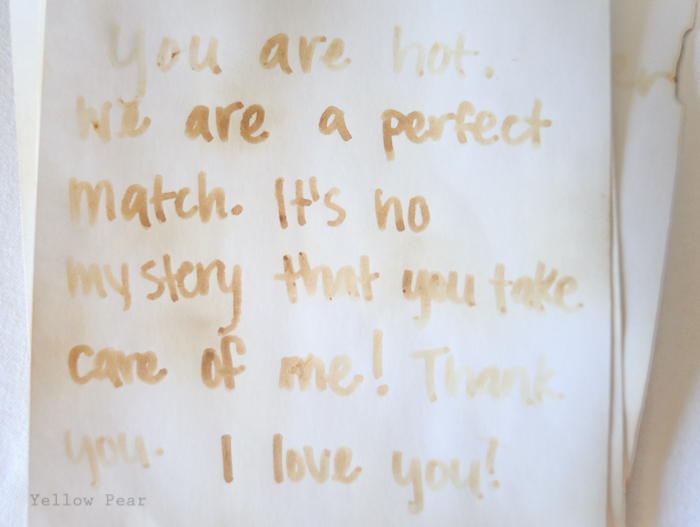 Last year, my sister and I gave our other sister Fourteen Days of Valentines. She sent the first seven and I did the last. We worked it out so we sent one a day in the hopes that she would get one daily in the mail, which would be more fun that one big package. 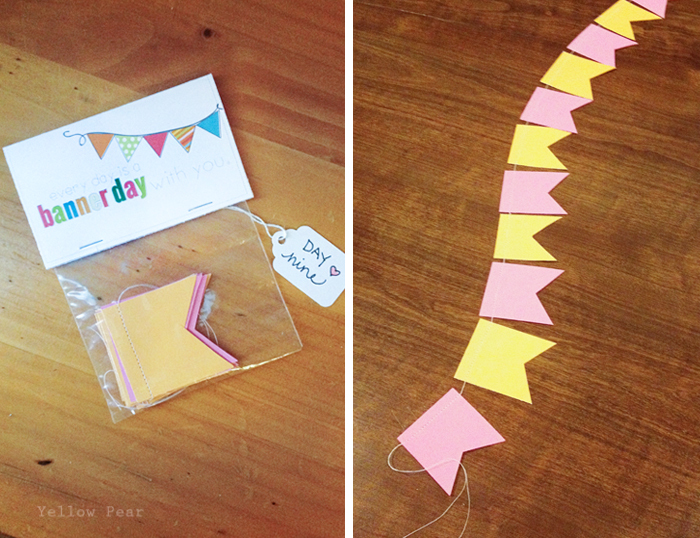 I had such a great time with it, that I used some of the ideas for my own family and thought I would share some of them here in case you are looking for creative Valentine ideas. I sewed simple fabric hears and stuffed them (I just left the raw edges, no hemming necessary). 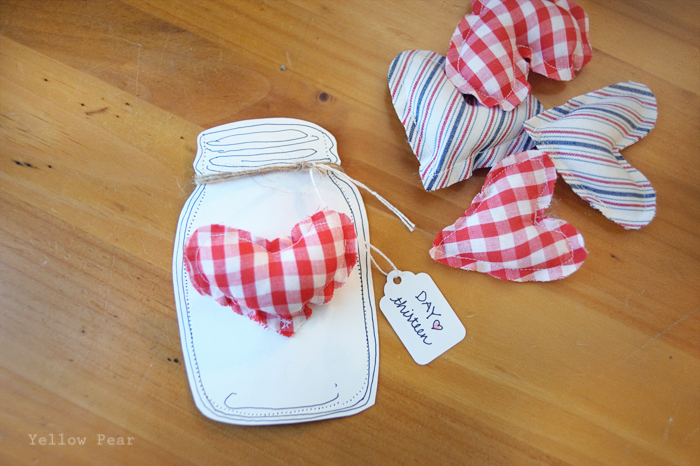 Then I drew a quick mason jar outline on card stock and pinned one heart to the jar and sent the rest in the package. The hearts are supposed to be left in coat pockets, drawers and etc. so when the person sees one, they remember they are loved. 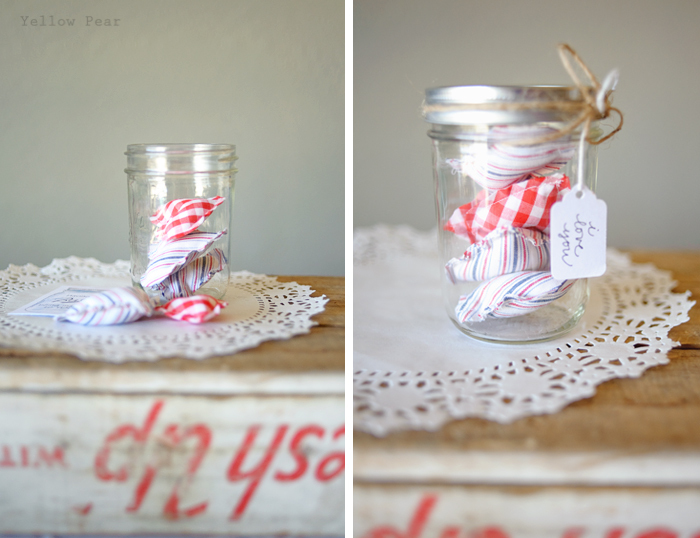 :) I did the same thing for my hubby and used a real jar. I cut out card stock flags and sewed them together to make a banner. The topper reads, "Every day is a BANNER DAY with you." 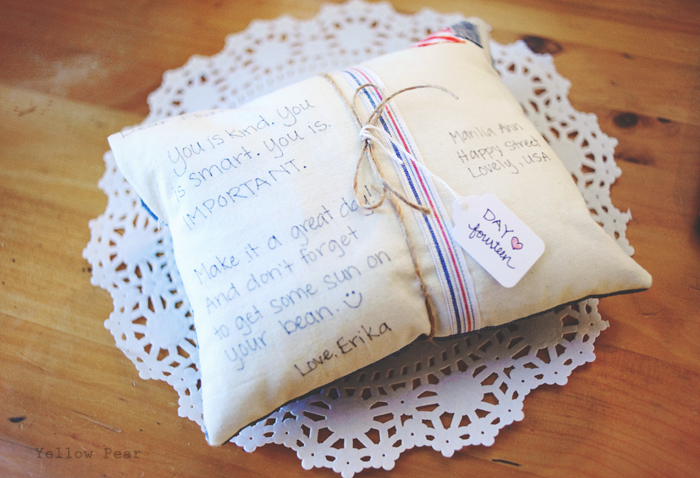 I sewed a quick pillow with fabric stamps and a ribbon down the center to create the "postcard" look. Then I penciled some light guide lines and wrote my message in permanent marker. 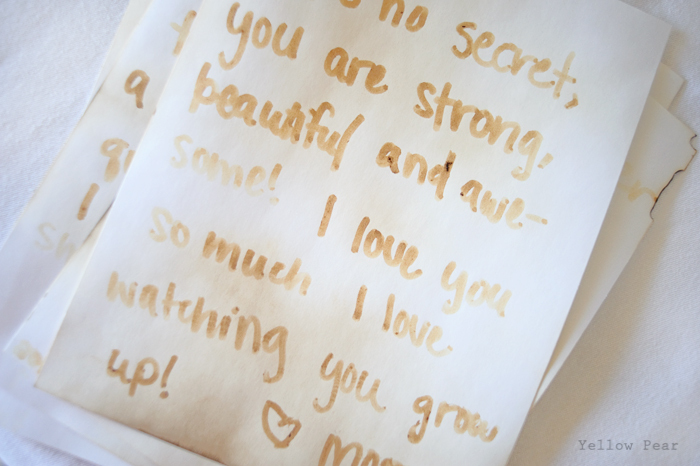 I wrote a secret message on plain white paper with a cotton swab dipped in lemon juice. It's a little tricky to maintain a wet cotton swab and remember where you left off in your sentence... so keep that in mind. 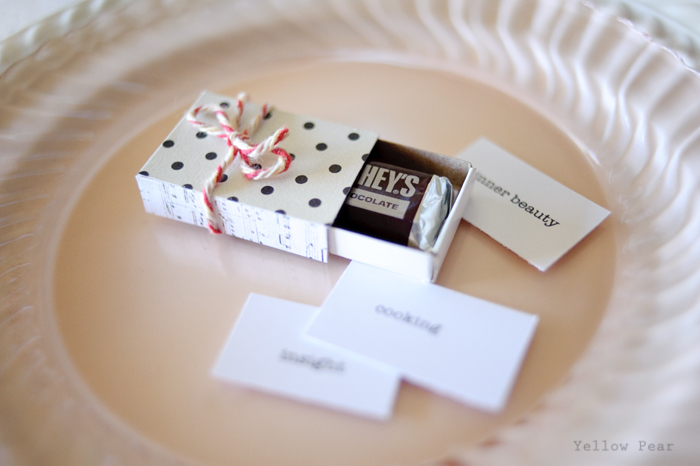 To reveal your message, simply add heat and the words will magically appear! We held it over the gas stove flame. The paper had to get pretty hot (read parental supervision) to bring the message out, and it is totally awesomely amazing...the kids LOVED it last year. 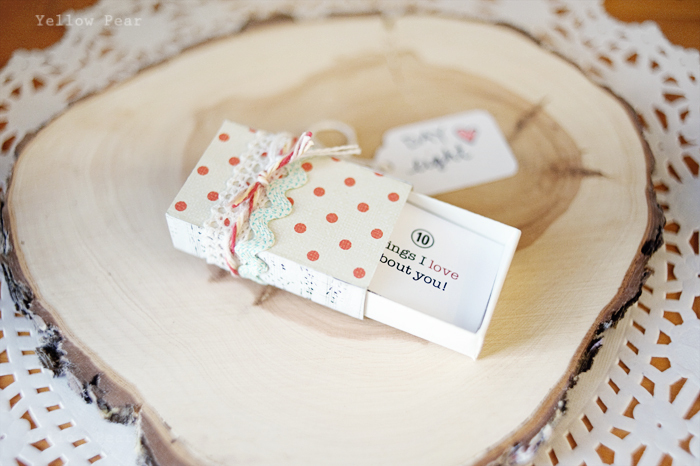 And a Mini Matchbox decorated and full of her special qualities using this idea. Also, a mini Hersheys bar fits perfectly! So there you go. Happy planning!